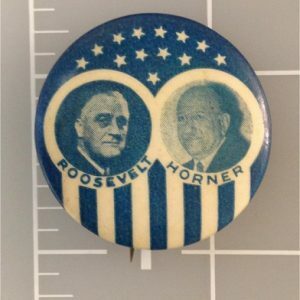 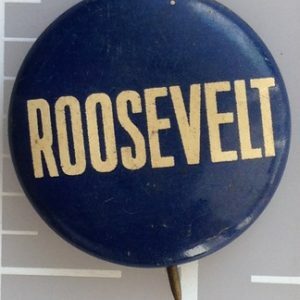 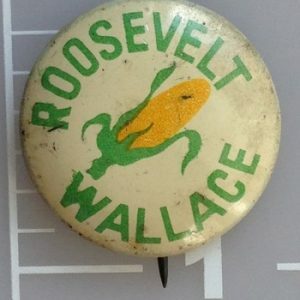 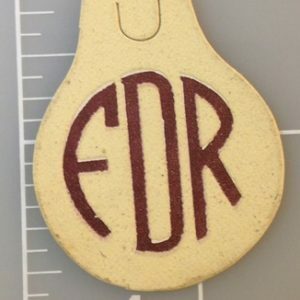 A variety of Hillary Franklin D Roosevelt campaign buttons were used to promote Roosevelt’s three-term presidential campaign. 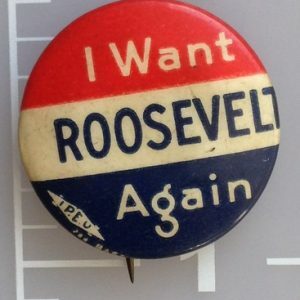 Franklin Delano Roosevelt, also known as his initials FDR was born on January 30, 1882 in Hyde Park, NY and died April 12, 1945 in Warm Springs, GA. Roosevelt was the only president that won four consecutive elections and served 12 years from March 1933 to his death in April 1945. 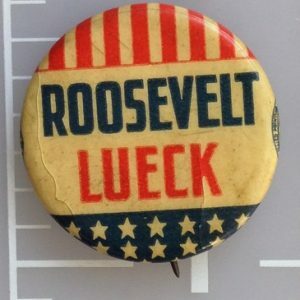 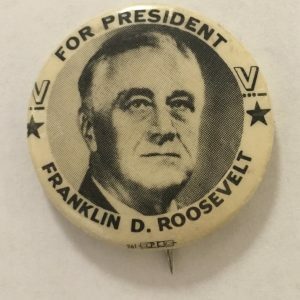 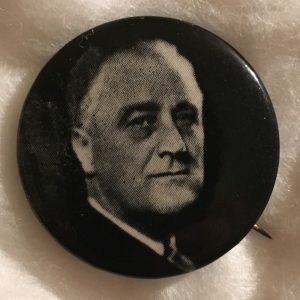 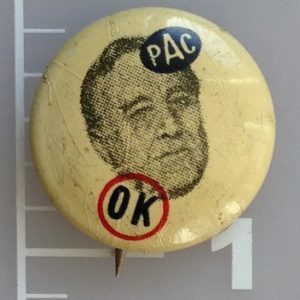 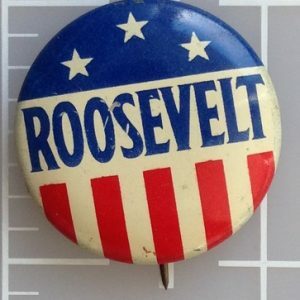 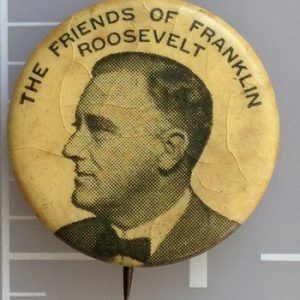 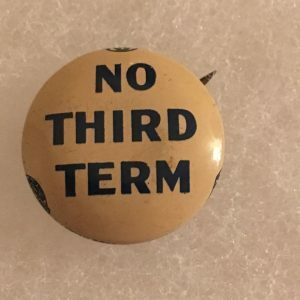 Franklin Roosevelt campaign buttons are very collectible and have been cherished by collectors for decades.